Set amidst majestic mountains and stunning natural beauty, Aspen, Colorado, is an ideal location for group events of any kind. Wyndham Vacation Rentals is a leading provider of properties suitable for group gatherings in the Aspen area. We have venues to accommodate groups of most any size—from spacious outdoor areas for a wedding or family reunion, to open meeting spaces for a business conference, to luxurious villas for ski clubs. 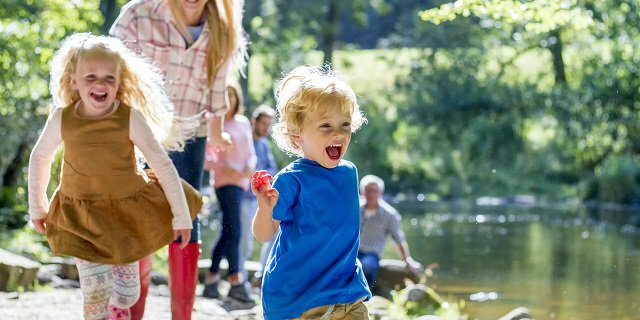 Wyndham Vacation Rentals provides a full range of services and amenities, as well as the ambiance and décor, to make your event and your stay memorable. 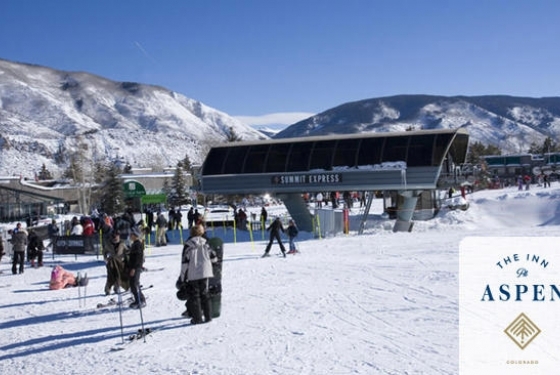 Surrounded by mountains and forests, Aspen provides plenty of skiing and outdoor recreation, plus the plentiful attractions in town ensure that guests will never have a dull moment. Providing an energetic setting for productive meetings and relaxing retreats, Wyndham Vacation Rentals has excellent options for hosting corporate meetings and retreats in Aspen, Colorado. 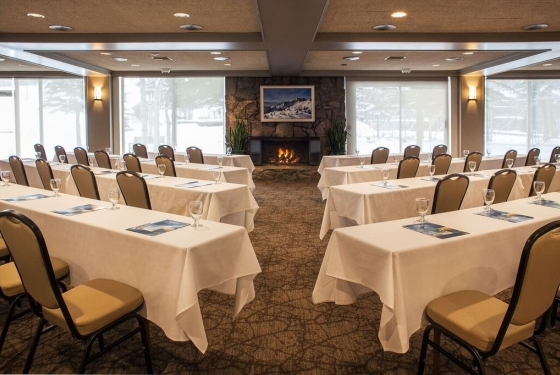 Featuring stone fireplaces, floor-to-ceiling windows and breathtaking mountain views, our meeting facilities at The Inn at Aspen create a comfortable environment for constructive conferences year round. In summer and fall, our outdoor lawn, patio and poolside spaces showcase the beauty of the mountains. In winter, world-class skiing is right outside the door. 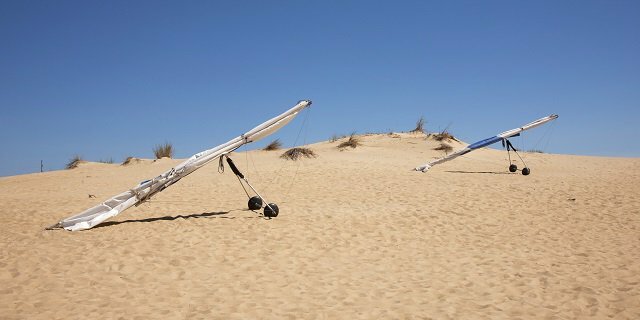 And, the experienced onsite staff can handle details such as seating arrangements, catering and other services, so you can focus on the agenda. 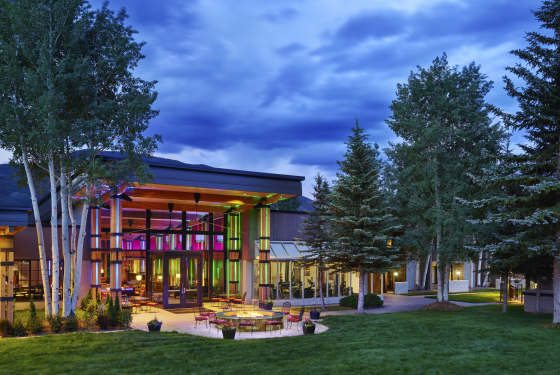 The Inn at Aspen offers 5,000 square feet of meeting space for groups with anywhere from 10 to 200 guests, as well as 122 hotel suites and rooms for overnight stays. 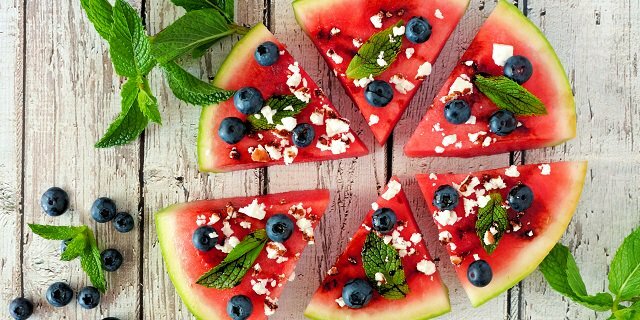 We offer onsite and offsite catering, wireless Internet access, complete A/V services and professional conference planning. 122 beautiful hotel suites and rooms for overnight stays. 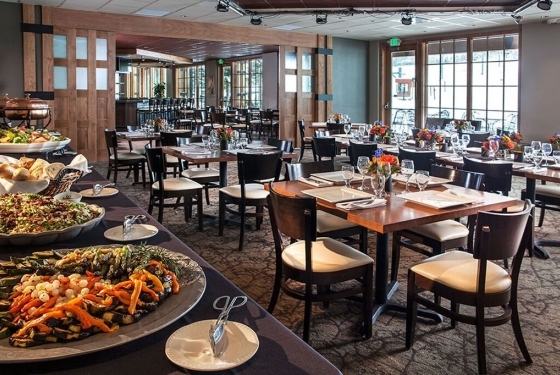 Nestled at the base of Buttermilk Mountain, The Inn at Aspen is the perfect destination in any season to host your special event. 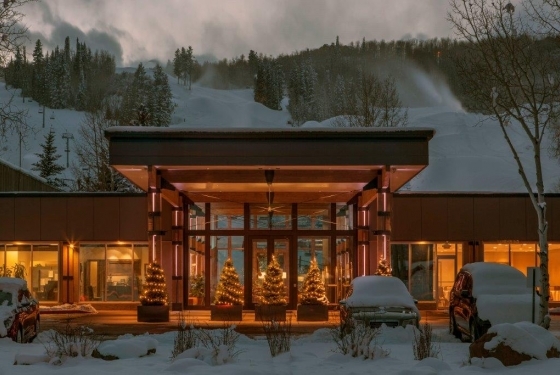 Breathtaking mountain views, intimate function space, stone fireplaces, floor to ceiling windows and menus customized to fit your taste and budget, make The Inn at Aspen a perfect choice. 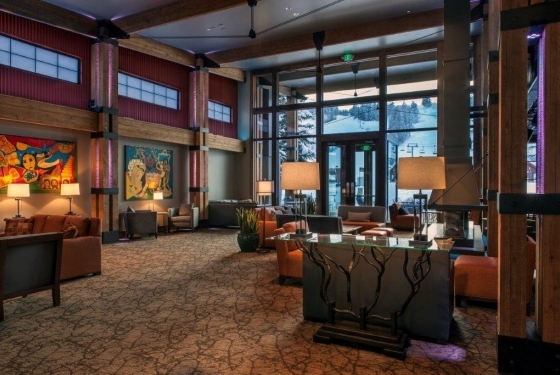 Our recently renovated grand lobby features 24 foot windows looking out at Buttermilk Mountain and a new stone patio, fireplace and expanded outdoor pavilion offering the perfect setting for an outdoor wedding. For an evening wedding or reception, soft white lights add a warming glow and provide an elegant ambiance, whether planning a romantic winter wedding by the fireplace, or a summer wedding that spill out onto our lush lawns. The Sales and Catering team featuring Home Team Catering can assist in arranging your perfect Aspen wedding! From planning your wedding or reception, the staff is waiting to exceed your expectations and make your special day stress-free and memorable. From a covered patio surrounded by beautiful wildflowers to a room with a view of the Rocky Mountains, The Inn at Aspen has a space sure to fit your idea of a dream wedding ceremony. The Inn can accommodate up to 200 guests for banquets and up to 250 for receptions, making it an ideal choice for weddings and celebrations, large or small. As you plan your wedding and your future, let Aspen’s Best Kept Secret provide a personalized wedding experience and the perfect location to begin your lives together.